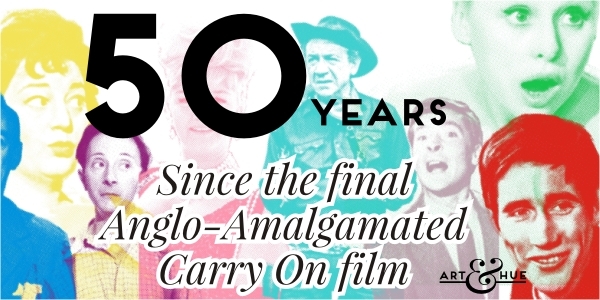 Whilst 2016 may be remembered for many reasons, from political events to the loss of many talents, there have also been momentous cultural milestones to reflect on, from 500 years of Royal Mail to 55 years of The Avengers. 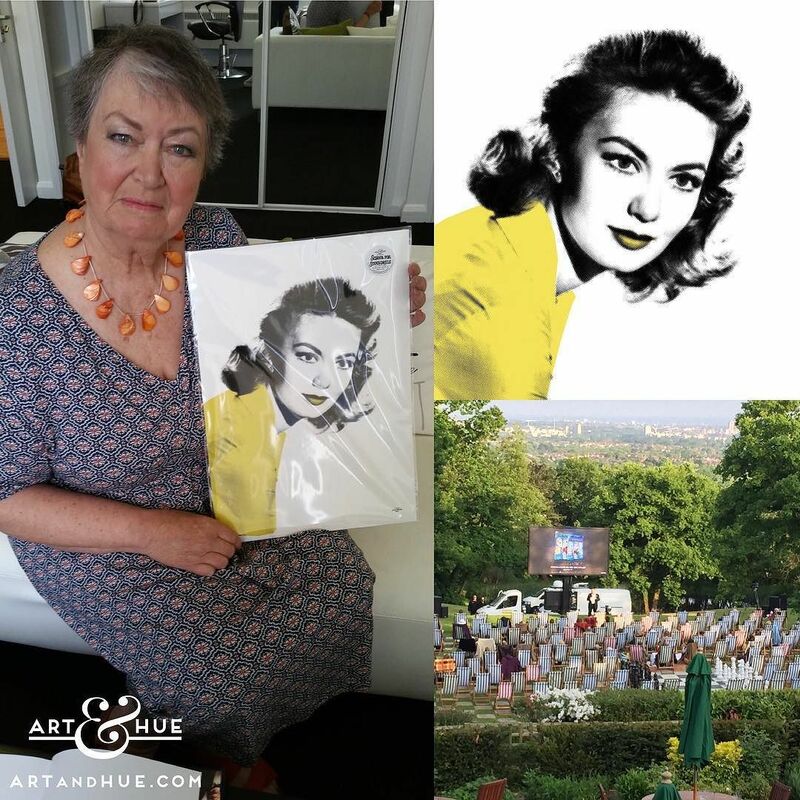 Personally, 2016 was the year in which I got to meet the adorable screen actress Janette Scott following the release of the School for Scoundrels pop art collection, as well as return to Pinewood Studios to research the incredible Studiocanal archives. 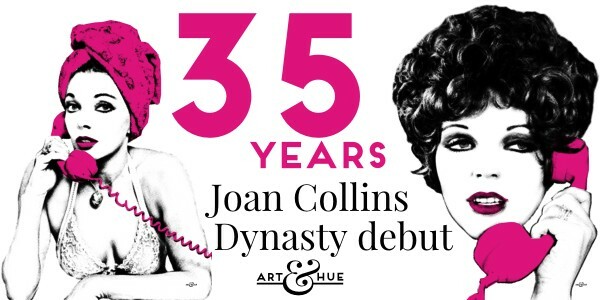 In November, I nearly fell off my chair when film & television icon Dame Joan Collins followed Art & Hue on Twitter directly after the launch of the Joan Collins pop art collection. I’m assuming she must have liked the prints to follow @ARTandHUE (and I’ve been told by someone who knows that she, rather than a publicist, does her own tweeting) so I was absolutely thrilled. 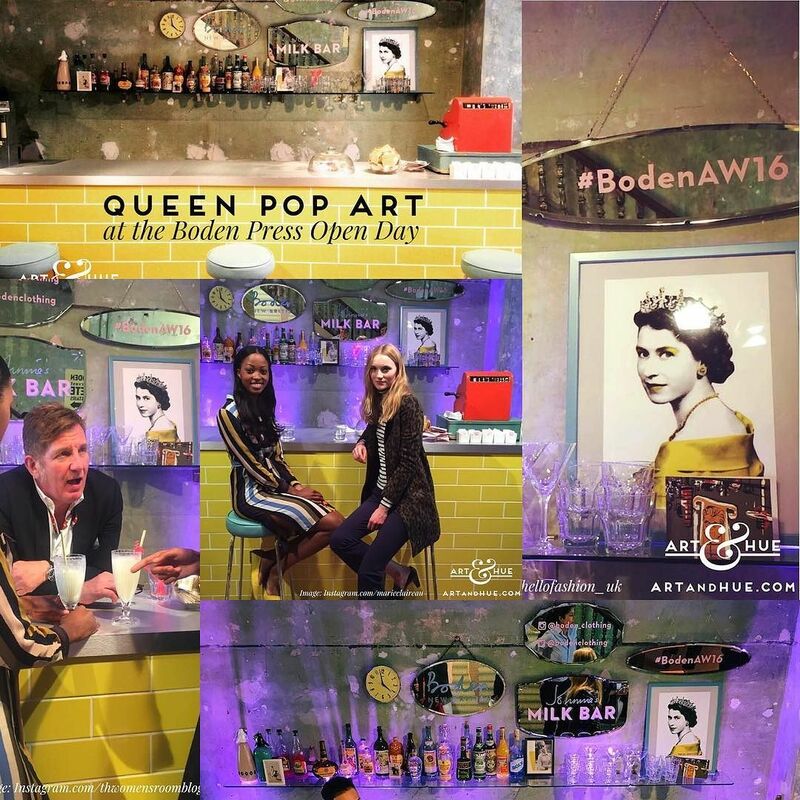 It was great to see Art & Hue pop art collections written and blogged about in the press, The Queen print included in the Boden press day, and fabulous to see customers share images of their pop art in their homes. 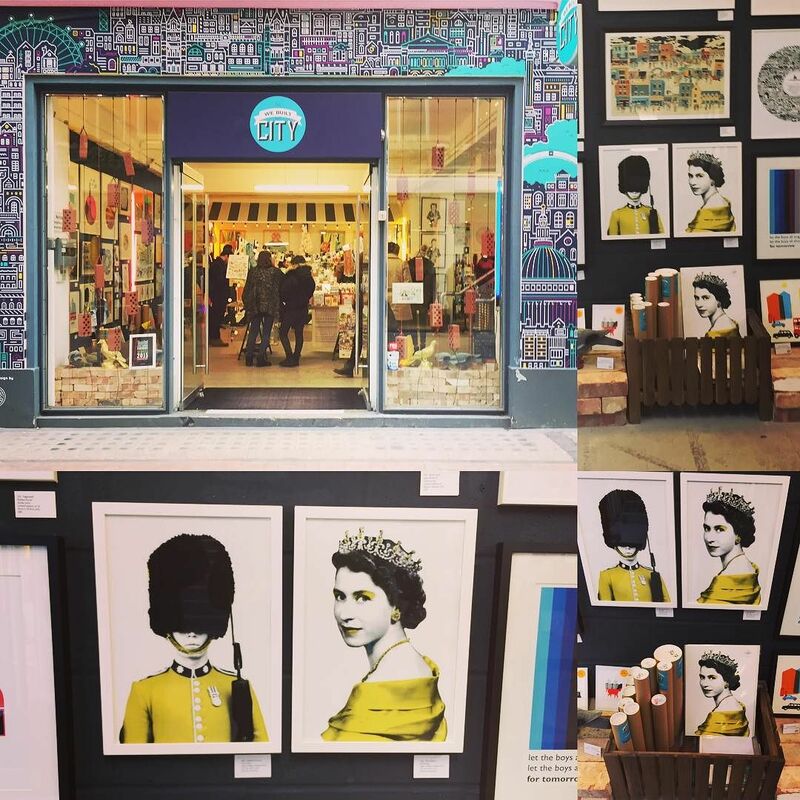 It’s always a pleasure to receive positive feedback from happy customers, and it’s been wonderful to supply art prints throughout 2016 to Soho store We Built This City – if you’re in London, swing down Carnaby Street to take a look at the stylish mix of London-inspired art & design by independent creatives. 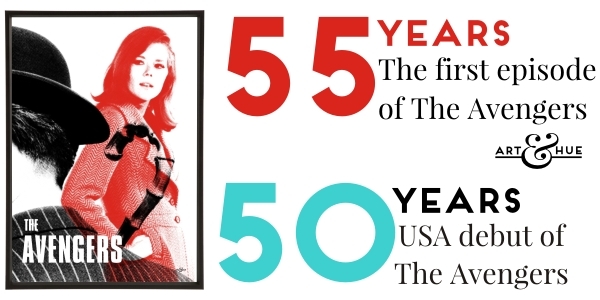 2016 marks 50 years since the end of the original Thunderbirds episodes. 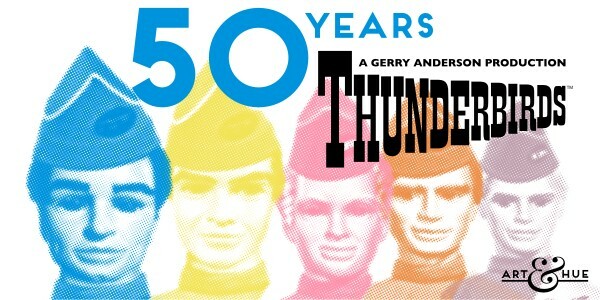 Gerry Anderson’s beloved and enduring television series Thunderbirds consisted of 32 episodes which ran from 1965 to 1966. 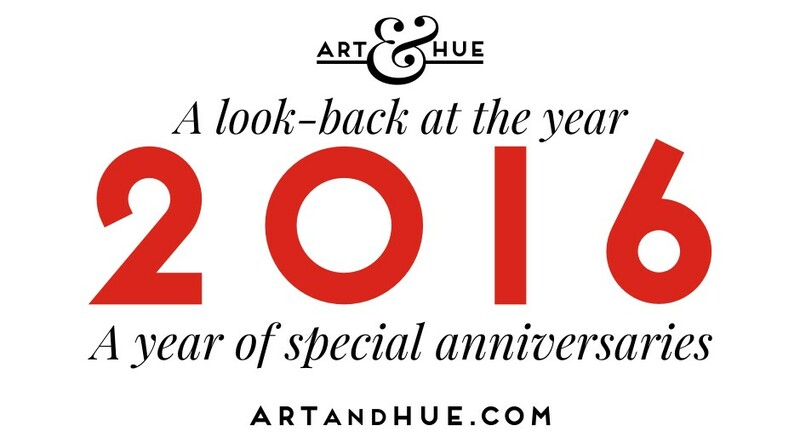 To mark 50 years since the end of the original episodes, Art & Hue collaborated with ITV Studios Global Entertainment to create a new pop art collection based on the show. Take a look at the full Thunderbirds collection. 55 years ago, The Avengers debuted on British TV in 1961 with a very different, more gritty, show compared to what the series evolved into. The Mrs Peel episodes debuted in the USA 50 years ago in 1966, making international stars of Diana Rigg and Patrick Macnee. 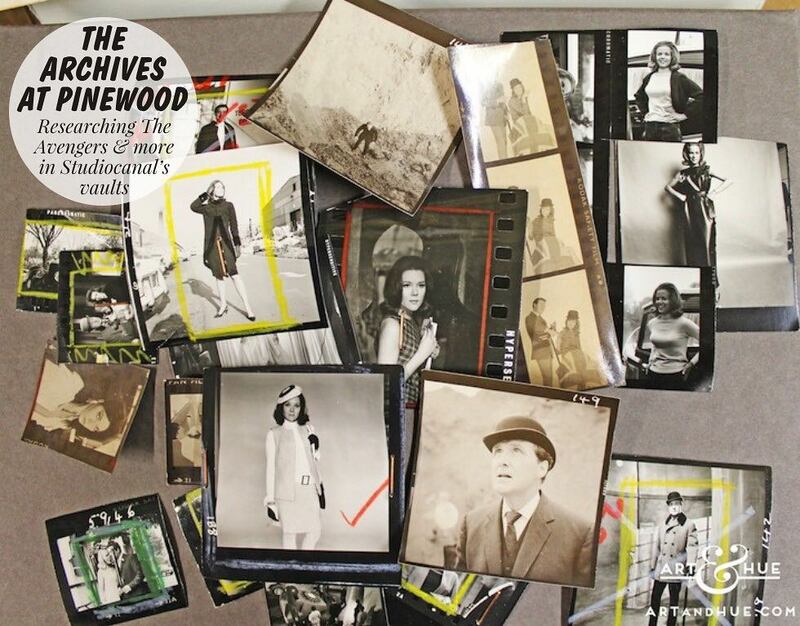 Delving into Studiocanal’s archives at Pinewood Studios, where the Carry On series was filmed, Art & Hue has created six pop art portraits of the much-loved stars as well as reworked the classic posters of the first 12 films into stylish fine art prints. Discover the Carry On collection. Cult film “Blood from the Mummy’s Tomb” was released in UK cinemas in 1971. Starring the iconic actress Valerie Leon, it was her largest film role – in fact she played two parts which secured more screen time. To celebrate the actress and the unique British horror films, Art & Hue’s collection of spooky & stylish pop art also features Anouska Hempel, Kate O’Mara, Christopher Lee, and David Prowse. Explore the Hammer Horror collection. 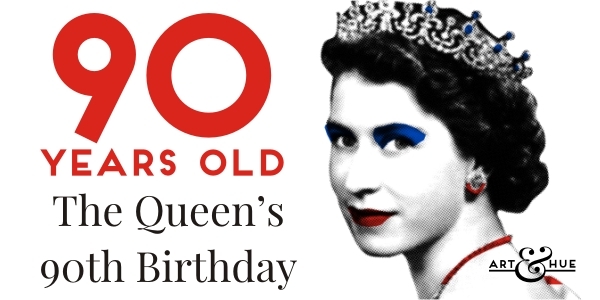 The Queen’s actual birthday was on April the 21st, but her 90th was be celebrated officially from the 12th to the 15th of May. There were more celebrations during the Trooping the Colour on June the 11th, followed by street parties on June the 12th. To mark the Queen becoming the oldest-serving British Monarch ever, Art & Hue added a new Union Jack option to the colours available in the Royal prints for an extra hit of flag-waving patriotism. 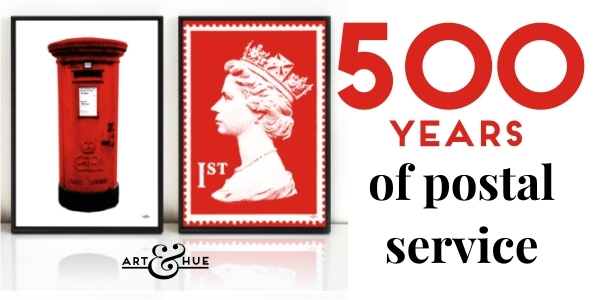 Royal Mail celebrated 500 years of British postal service throughout 2016 to mark the beginning of the Royal Mail. Knighted by Henry VIII in 1516, Brian Tuke became the first Master of the Posts, marking the start of the Royal Mail. Tuke established post towns across the country and built a formal postal network. Royal Mail were the first public postal system to introduce a pre-paid postage stamp with the Penny Black in 1840. 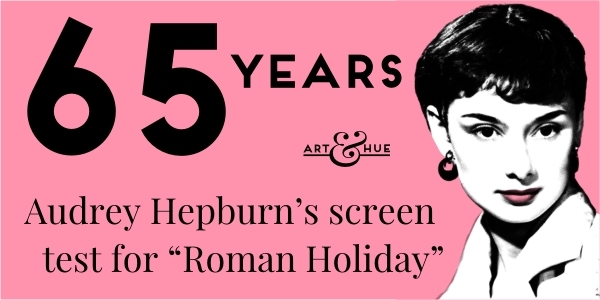 If it wasn’t for Thorold Dickinson casting Audrey Hepburn in “Secret People” 65 years ago, and then filming her screen test for “Roman Holiday”, the world may have been deprived of her iconic characters that defined Mid-Century cinema. Audrey won her first Academy Award for her Hollywood debut in “Roman Holiday” and went on to create more memorable roles, from Holly Golightly in “Breakfast at Tiffany’s” to the beatnik bookworm in “Funny Face”. View the Audrey pop art. 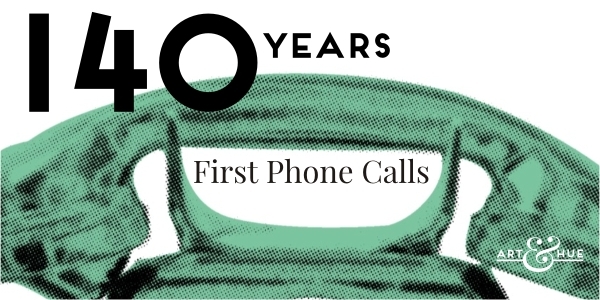 140 years since the first phone calls. In August 1876, Alexander Graham Bell made the world’s first long distance telephone call and the first two-way long distance call in October the same year. The phone has transformed our lives since Bell filed his patent for the talking device back in March 1876, no more so than with mobile phones. Art & Hue still has a hankering for Mid-Century receivers with the curly cords and they feature in several art prints. See the Phone Pop Art. 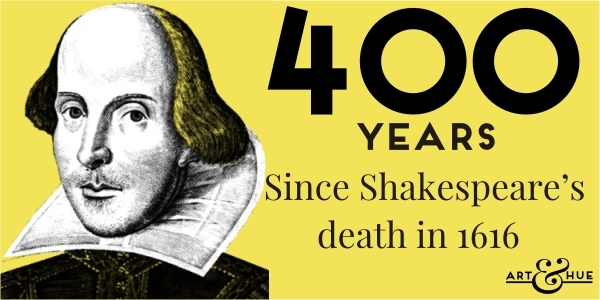 To mark the 400 year Anniversary of Shakespeare’s Death, there were events & celebrations taking place across Great Britain, including his birthplace of Stratford-Upon-Avon, the Globe Theatre, the BFI, Barbican, as well as across the BBC. 400 years on from his death on the 23rd of April (which also happens to be Saint George’s Day), his works endure and continue to influence language with many everyday sayings having come from his plays. Art & Hue created a pop art portrait of the playwright as well as a contemporary view of The Globe Theatre. 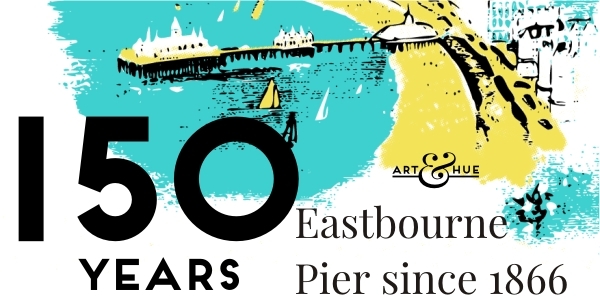 In Art & Hue’s hometown, Eastbourne Pier is marked 150 years since construction started on the seaside structure. The pier has seen many changes, such as the long-gone boat jetty for passengers to embark upon paddle steamers bound for France, the loss of the thousand-seat theatre for typical “end-of-the-pier” shows, through to the tragic fire of 2014 that saw one of the pier’s buildings destroyed. Fully open again, the quintessential British seaside structure still welcomes visitors and locals wanting to promenade through the bracing sea air. 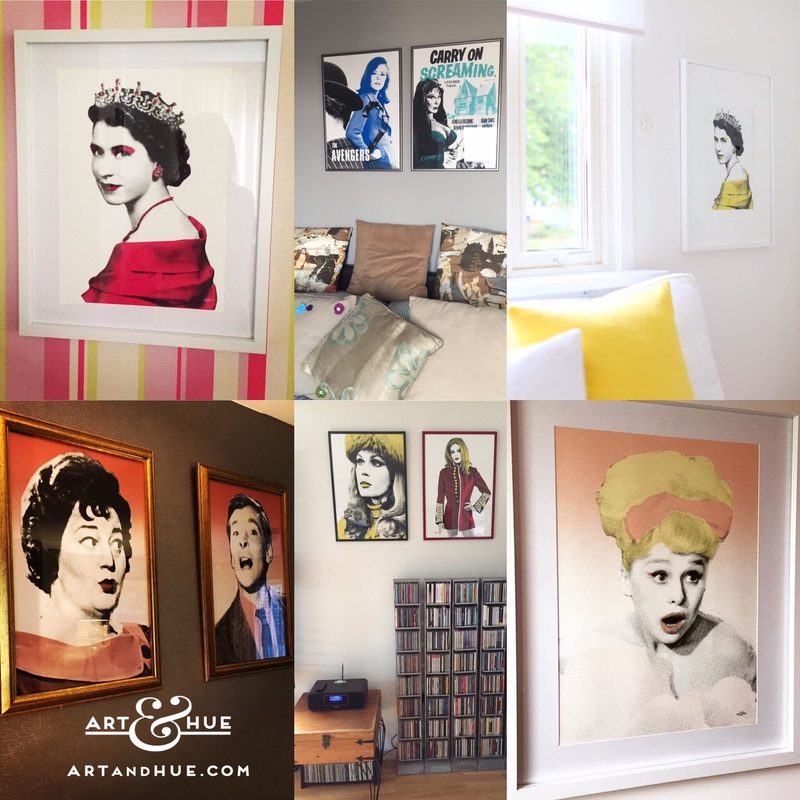 2017 is just around the corner and I can’t wait to share with you some new pop art prints I’ve been working on – some collections have taken over a year to research thoroughly and I hope you’ll love them for your walls as much as I have loved creating them for you. Have a Happy New Year’s Eve, whether you’re partying or relaxing, & here’s looking forward to a great 2017!